What will we be knitting this year? We’ve been taking a look at the likely knitwear trends for 2018 and gathering some pattern inspiration for the next few months. Oversized jumpers, chunky knits and cosy sweaters to snuggle up in featured in the fashion collections and magazines for this season. And what could nicer to knit soft yarns, relaxed patterns, quick chunky projects, it is all about pleasure in making and wearing. Plain stocking stitch may feature in your comfy knit but 2018 is going to be about texture and details. 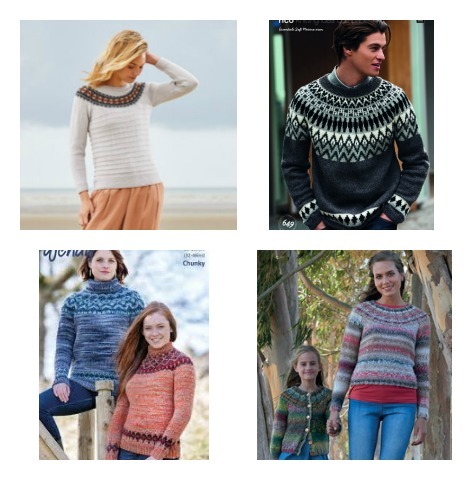 Think stitch patterns, lace panels and interesting cables as well as collars, belts and buttons. 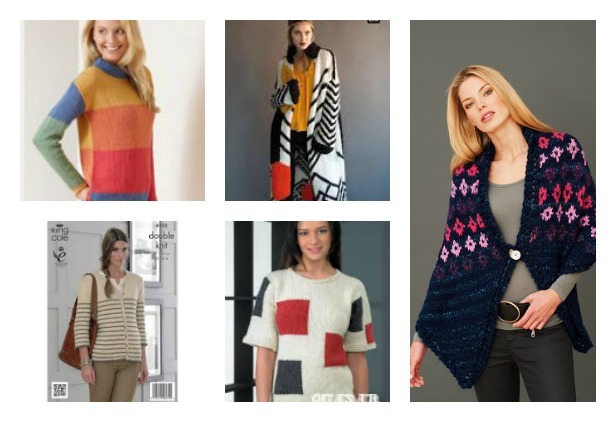 If textured stitches, etc, aren’t your thing, why not look to colour to add interest to your sweaters – fair isle and intarsia as well as stripes and colour blocks in bright colours means we will seeing some eye-catching knits this year. 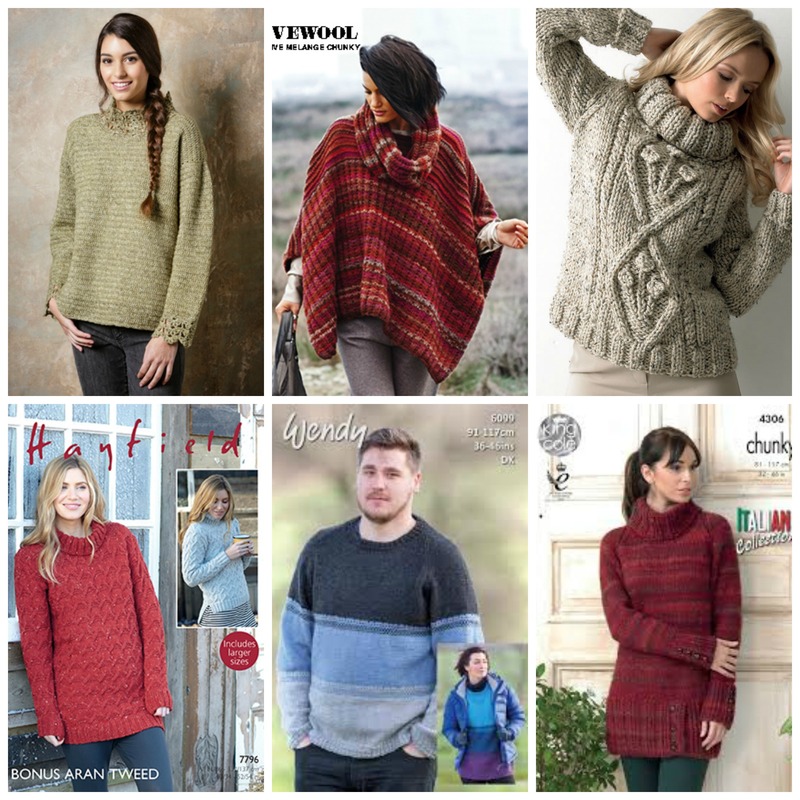 And you enjoy colourwork you may want to add it to a key 2018 knitwear shape – the yoked sweater or cardigan. 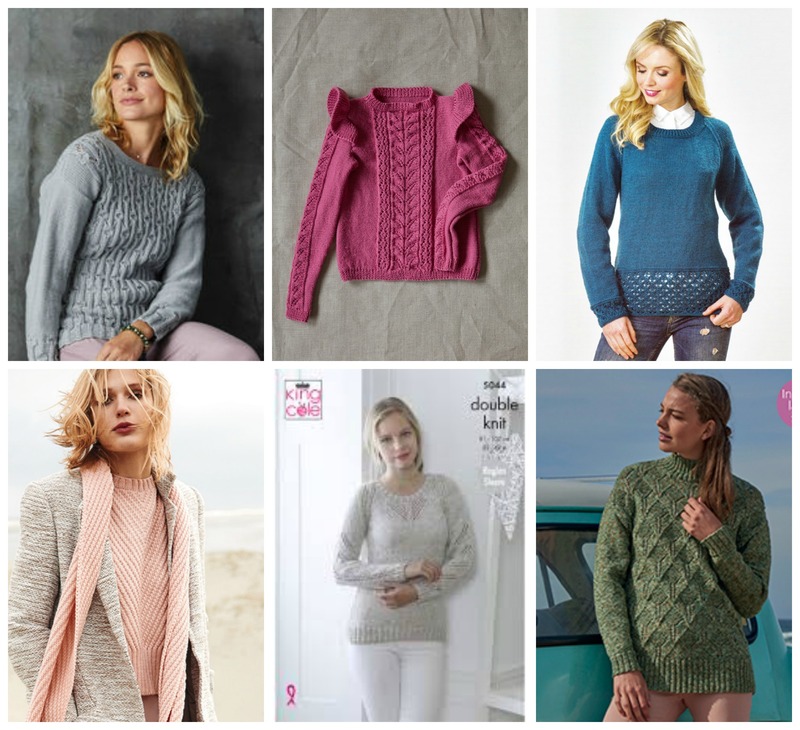 What knitting trends are catching your eye this year? Do let us know. Love reading anything new about knitting and was tickled by the ‘latest trends’ ie big comfy sweaters…I have been making and wearing these for 60 years and every so often I am actually ‘in fashion’!